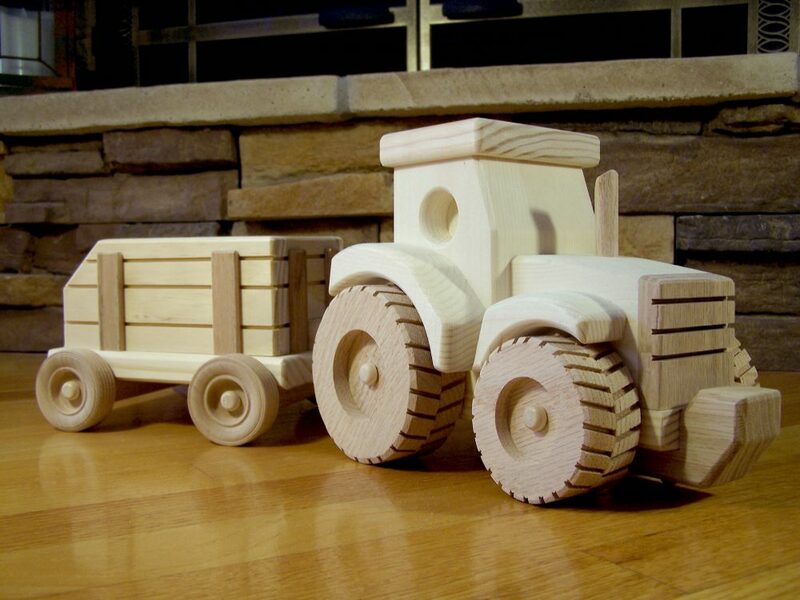 Handmade Heirloom Quality Wooden Toys that can be passed down from Generation to Generation. 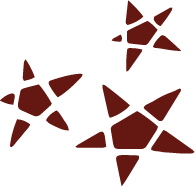 Click the images below for more details on the product. The saying goes " Nothing runs like a..." This farm tractor and wagon can get the job done. The tractor and wagon together measure 20 1/2 inches long by 7 1/2 inches tall. It is constructed of pine and oak with birch and oak wheels. Lets get to work!! You'll be working on the railroad. The train measures 45 inches long by 7 1/2 inches tall by 6 inches wide. It is constructed of pine and oak with birch wheels. The tops of the cars come off and on so your engineer can load and unload the train. There are also 3 oak blocks in the flat car for cargo. 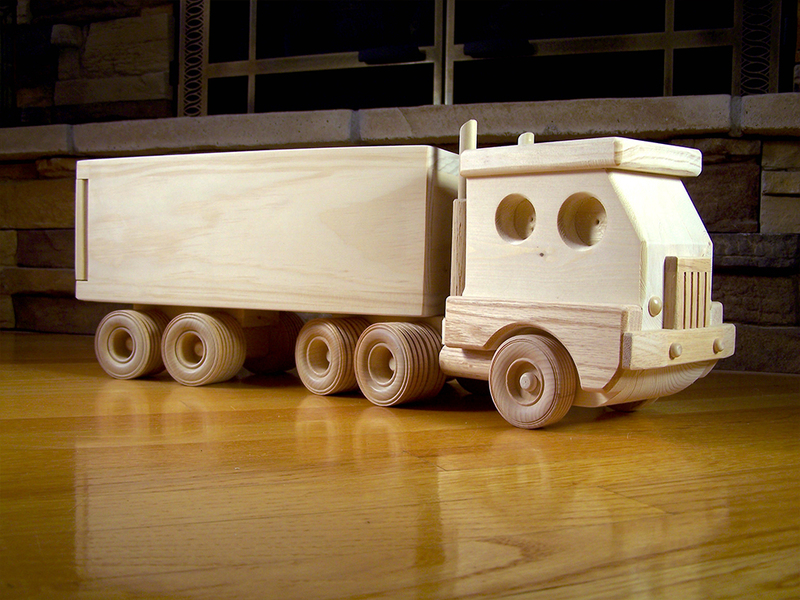 This handmade semi truck measures 22 3/4 inches long by 5 3/4 inches wide by 8 inches tall. It is constructed of pine and oak with birch wheels and left unfinished. Back doors on the trailer open and close for easy loading and unloading. If you are looking for a special gift for a birthday, Christmas, or any occasion for your child or grandchild check out our selection of handmade, heirloom quality wooden toys from Kringle Workshops in Lake Elmo, MN. 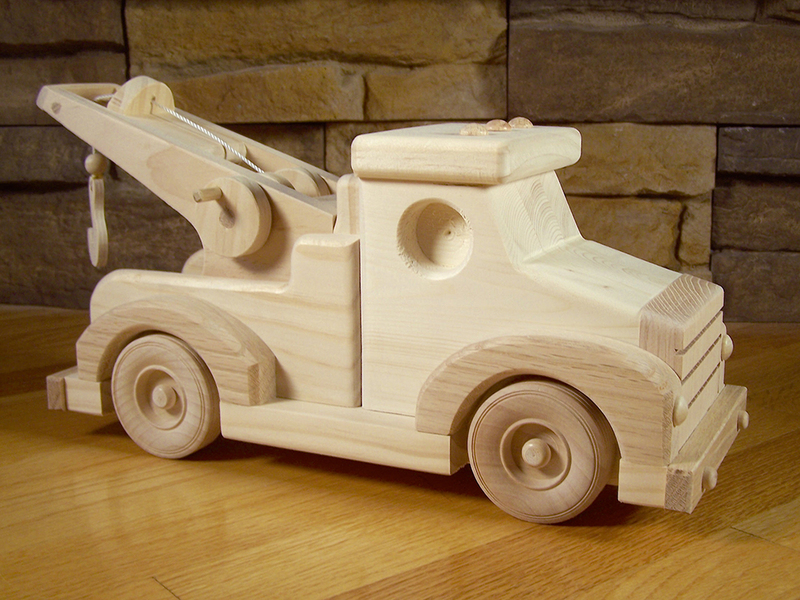 Our classic wooden toys are timeless and built rugged to withstand years of play. Our selection of handmade wooden toys is not powered by batteries but by a child's imagination. Each wooden toy is carefully crafted one at a time by hand at our home workshop. They are assembled using dowels and glued with water-based, safe glue and left unfinished. They are sturdy and well-constructed. These wood toys are not meant to sit on a shelf but are meant to be played with. Each surface is sanded to ensure that it is nice and smooth with no sharp corners. 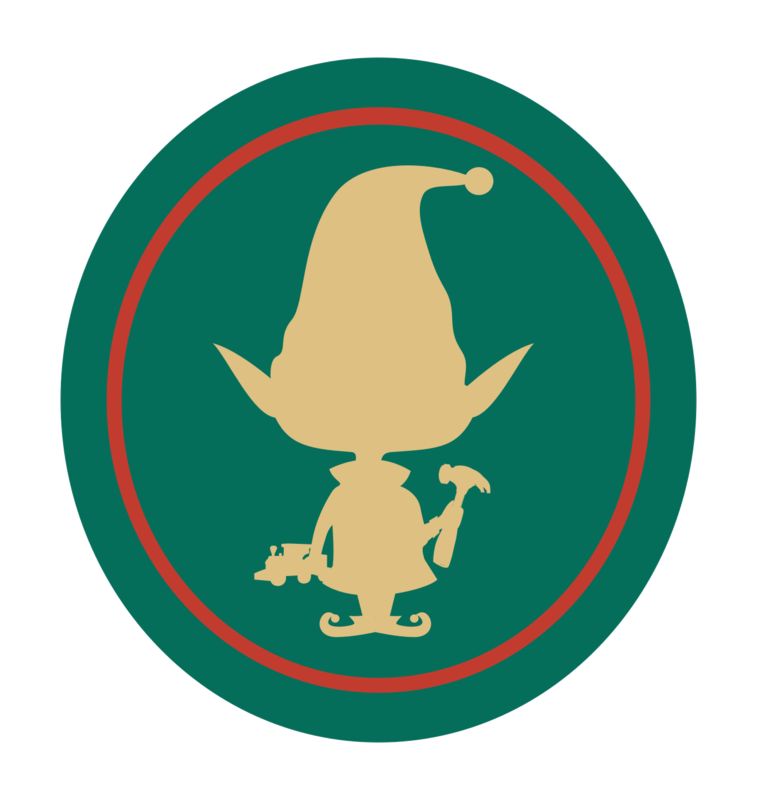 Each wooden toy is wood burned stamped on the bottom with our logo: The Kringle Elf. With little care, these handmade wooden toys can become heirlooms and be passed down from generation to generation and enjoyed for years. I still have some my dad made for me. We have a wide collection of handcrafted wooden toys from wooden farm and military vehicles to wooden doll cradles and furniture. 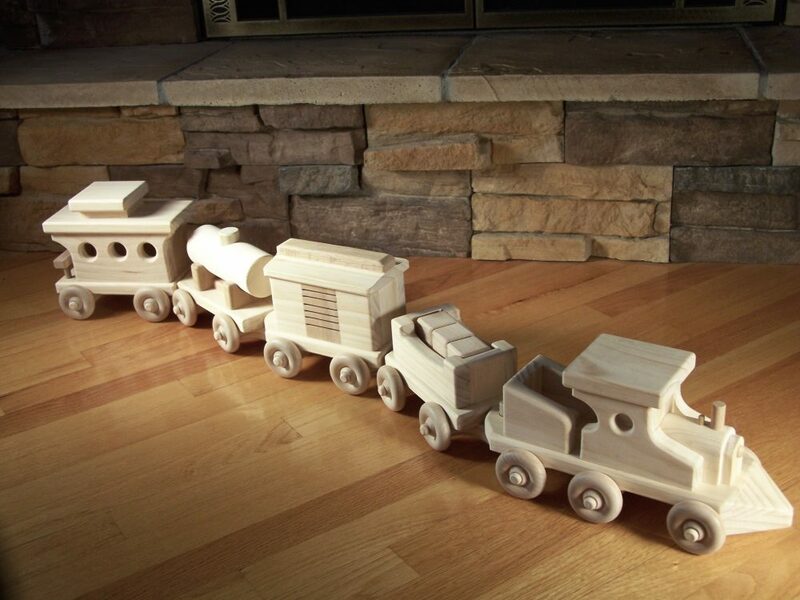 Our wood toys make the perfect gift for your child or grandchild. "Only Tom could produce such high quality wooden toys!" "Beautifully crafted toys that I can see my grandson passing down to his own child someday!" 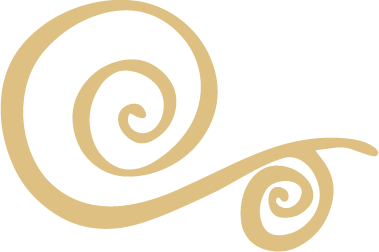 "Gorgeous hand-made works of art, with such a wide variety to choose from!"